Fort Buhlow Lake is a popular destination for various boating, racing, fishing and recreational activities. Built in 1956, it covers an area of 282 acres, some of which was former pasture land for the Central Louisiana State Hospital dairy. 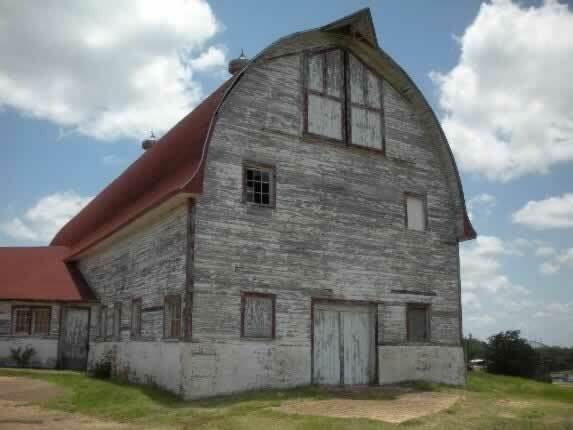 It is bounded on the south by U.S. Highway 165, and the Red River to the north. At the west end of the lake is the historic Civil War-vintage Fort Buhlow, and an airport on the east side. The lake is located at Latitude:	31.3356635 North, Longitude:	-92.4449113 West, and sits at an elevation of 79 Feet above MSL. The control structure is a Hydro Gate 36”x 36” heavy duty stainless steel slide gate. The outflow pipe is 36” in diameter. The lake's average depth is 5 feet, with a maximum depth of 9 feet. Buhlow Lake is a popular fishing destination by both bank and boat fishermen. It has been stocked with channel catfish, but it is also known as a good spot to fish for bass and bream. It has no public piers, but the banks are generally clean, and anglers regularly fish from the banks. The City of Pineville holds various public events around the lake. These include a 4th of July celebration, fishing tournaments, car shows, etc. Buhlow Lake has been the site of speed boat racing since the 1960s, and is known for its flat, fast race course due to the shallow lake being sheltered from winds by surrounding hills. The City of Pineville authorizes various sanctioned motor boat racing events on the lake. It has the distinction of being the location for several world outboard speed records. The lake is often called "The Fastest Lake in the USA". Events have included the Deep South Racing Association Drag Boat Racing Series. Initially the Louisiana State Championships races were held on the lake, and then later the Southern and World Championships. In June of 1961, 109 boats participated in the state championships, setting 11 new world records. The next year, in July of 1962, 146 boats ran the lake, and set 3 new world records. The first World Championship was held in October of 1965, with an astonishing 475 boats participating. Jerry Waldman was the champion, and 18 new world speed records were established. The race course on Buhlow Lake at Pineville is considered the best in the United States for Alky powered outboards, not only due to strict control of the water, but by the work of all officials, and the enthusiastic crowd. The photo below shows the two-man F runabout "Miss Pam" on the front straightaway at Lake Buhlow in 1972. The driver and winner of the class is Charlie Bailey from Houston, with deck rider Wayne Baldwin from Sandia, Texas behind. They are in a Merc Quincy powered Morton runabout hull. The boat and motor was owned by Roland Pruett from Baytown, Texas.